This is a really interesting and unique edit. It starts off slow but at 2 minutes in gets crazy. Some really creative lines here. Just got back from skiing in the Rockies. It had been a couple of years since I was able to do some skiing out there. Most of my recent trips out to Colorado have been during the summer to do some mountain biking. It was nice to do some Big Mountain skiing again. Me and my girlfriend managed to score some pretty good lift ticket discounts from Liftopia.com. I was able to get a 2 day ticket for Arapahoe Basin for 75 bucks! Not too bad. Arapahoe Basin has always been one of my favorite places to ski in Summit County. The base and summits of the mountain are a little bit higher than most of the other resorts so the snow tends to hold better late season. The terrain is pretty rugged and has some of the Steepest Runs in Colorado. The mountain is littered with rock faces, windblown cornices and tight tree chutes. 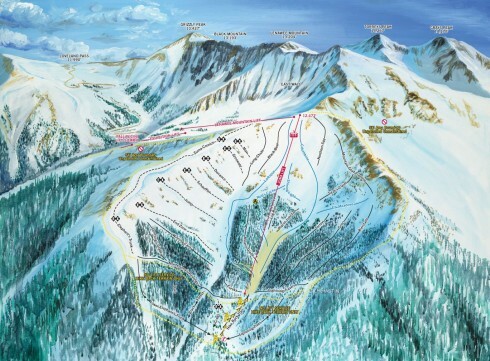 I was especially excited because last year A-Basin opened up the Montezuma Bowl and added a chairlift on the backside of the Mountain expanding their in-bound terrain by an additional 80%. 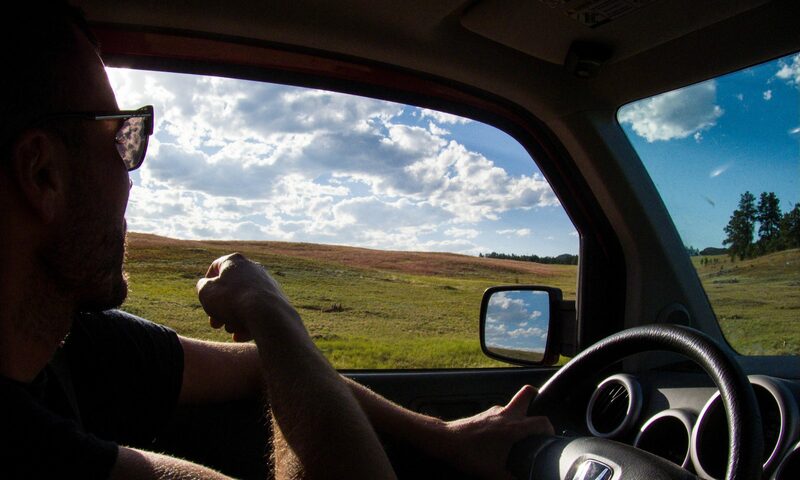 The terrain was pretty sweet. For those familiar with the old A-Basin the terrain is more of the same which I will never grow tired of. Can’t wait to head back out there next season. Winter is here! 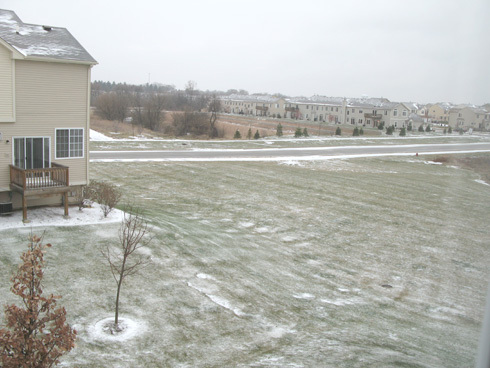 Today I looked out my window and saw it was snowing. It’s just a dusting but enough to get me excited for the possibility of a decent winter. Last year I only go out on skis once due to a bum knee. I am hoping to do quite a bit more this year. For staying fit through winter, conditioning myself for ski season, and keeping stress down through excercise I use training rollers. 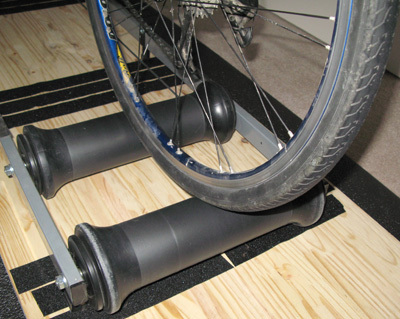 Rollers are a great way to improve endurance and balance. Usually they cost anywhere between $100 to $400. 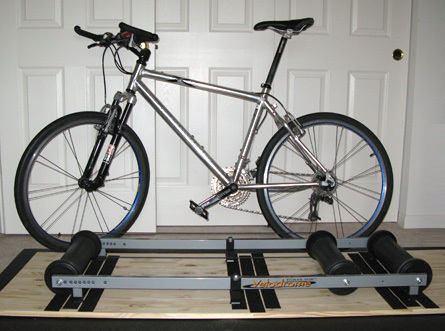 I got these parabolic rollers from Performance Bicycle as a gift for my birthday a few years back. Usually I’ll try to ride 6 to 8 miles on the rollers every morning at an average speed between 18 and 20 miles per hour. Rollers are tough to get used to. There is no coasting, once you stop pedaling the rollers stop and you’ll lose balance. there is enough resistance with the set of rollers that I have that I get a better workout per mile on rollers than on street riding. For the first year I used rollers I had to position them in between a doorway so I could hold myself up and keep my balance. Now I’ve gotten used to them and don’t need them in a doorway. If your interested in trying rollers and your a mountain biker you’ll need to start by getting a set of slick tires. Knobby tires wont work with the rollers and even with slicks on, they are still pretty loud. I use my rollers upstairs in my spare bedroom with a dampening mat underneath them. I had to put a board on top of the mat because otherwise the rollers would rub on the carpet. I’d also recommend using platform pedals as opposed to clipless. I’ve used clipless with rollers and It can be a bit scary. It’ll be a bit difficult too with a suspension fork. I find rollers much easier on my track bike than on my front suspension mountain bike. I wouldn’t even attempt to ride them on my full suspension. Here’s a pretty cool online skiing game to waste time on. > Play Trysil Twintip Skiing Game | digg story. I’ve managed to waste quite a bit of time playing this game and getting stoked for the upcoming ski season. Hopefully we’ll have a good ski season and I’ll be able to get out more. Skiing and Cycling are my two favorite things, and last ski season, with a knee injury from biking and a shortage of funds, I was only able to get out once. This year I am hoping to rack up more days on skis.